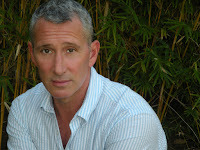 Adam Shankman is the director and producer of the exuberant musical remake of Hairspray, the producer of the top-grossing Step Up films, the director of the adaptation of the Nicholas Sparks bestseller A Walk to Remember starring Mandy Moore, and the director of Bringing Down the House starring Steve Martin and Queen Latifah. Adam has also directed episodes of Modern Family and Glee, and he was a popular judge on So You Think You Can Dance. Laura L. Sullivan is a former newspaper editor, biologist, social worker, and deputy sheriff who writes because storytelling is the easiest way to do everything in the world. Her books include Love By the Morning Star, Delusion, and Ladies in Waiting. Laura lives on the Florida coast.